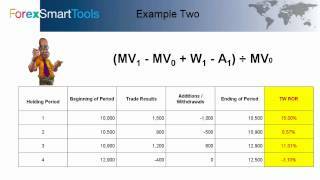 Time Weighted Rate of Return in the Forex Trade Log – What? Why? How? videos, supporting material and continuous improvement. without it! Keep up the fantastic work.